Home / Club News / Next up – Little Bennett XC! 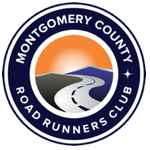 Join us for a challenging 10K loop course in Little Bennett Regional Park in Clarksburg, MD. Run on a mainly single-track trail, hilly & rocky in places, this race begins and ends in the horse trailer park near the golf course on Prescott Road in Hyattstown. What more could you want on a hot & humid summer morning? Please visit the race webpage for a course map. This race is part of our low-key series & is free for members! Non-members can sign up on race morning for $10 for 8 and over and $5 for under 18. Volunteers are needed! If you’d like to participate as a non-runner, please consider signing up to volunteer. SSL hours are always available.